Also Spodnja Štajerska is divided into several parts. 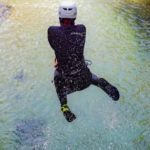 At the upper part of the Savinja River, there is Zgornja Savinjska dolina valley with Logarska dolina, one of the most beautiful Alpine valleys, where the river Sava springs in the waterfall Rinka. Zadrečka dolina by the river Dreta is also considered a part of Zgornja Savinjska dolina. The highest mountains in this area are part of Kamnik-Savinja Alps (Planjava, Ojstrica), but also Oljševa with Potočka zijalka and Velika Raduha (2062 m) with Snežna jama are very famous. Two of the biggest settlements there are Solčava with gothic parish church of Saint Mary of the Snow and Gornji Grad by the Dreta River. This place was owned by patriarchs of Aquileia, which have also built Benedictine monastery in Gornji Grad in 12th century (in year 1140). It was later taken over by the Habsburgs and given to the newly founded archdiocese of Ljubljana in year 1461. Wide valleys by the rivers Savinja and Dreta are on the south side closed by plateaus Menina and Dobrovlje. Farms, scattered upon the slopes, and dispersed settlements in the valleys make the area looks agrarian, but in fact, it is not agrarian any more. People earn more with wood, agro tourism and timber industry in the biggest settlements Mozirje, Ljubno, Gornji Grad and Nazarje. This industry has developed from centuries of the sawing, lumbering and wood crafting tradition. Recently, some other forms of industry have developed in the area, for example in Nazarje. The basin Velenjska kotlina is not particularly big, but it is very important for the whole country. It is separated form Savinjska dolina with the hills Ložniško gričevje. Geologically, the basin is a tectonic sink, which occurred at the end of the Tertiary period (the only younger basin in Slovenia is Ljubljansko barje). Between the layers of sand, there are also layers of a coal ? lignite, which is 165 meters thick in the central area. The first mining of coal occurred in the second half of the 19th century, and the miners there are still active today ? they acquire around 4 million tons of coal per year, mostly for the thermal power plant in Šoštanj. More important in economy today is a factory of household appliances Gorenje, which has become one of the biggest producers of household appliances in the Europe and in the world. These were also the foundations for the development of the city Velenje, the fastest growing city in Slovenia (around 30000 inhabitants) and the fifth largest city in Slovenia. The second largest city in the basin, Šoštanj, remained in its shadow. Velenjska kotlina (called Šaleška dolina by the locals) ascends toward Vitanjsko-Konjiške Karavanke with the highest peaks Konjiška gora, Paški Kozjak, Boč and Donačka gora in the east. Somewhere under the tow towered church of the Holy Cross on the Oljka Mountain, Zgornja Savinjska dolina ends, and Spodnja Savinjska dolina starts. Transitions of the Slovenian area are the best shown in the area of Celjska kotlina basin. Due to its climate characteristics, it is considered to be a part of the Pannonia region, but geographically, it is a part of the highlands and the Alpine hills. Like the Basin of Ljubljana, Celjska kotlina is a big tectonic sink, which is very dynamic in the north, but in the south and west, it is a flat land, called Savinjska ravan. Majority of this flat land is covered with gravel, which has been transported by the river Savinja, and with clay from the tributaries. Since the climate and ground in the area are favorable, the locals turned a great part of Spodnja Savinjska dolina to extensive fields of hops. Hop was produced only for trade, but as it is not as valuable as it used to be, also the hop industry is dying out. But it has contributed a great deal to a development of the basin, especially the countryside, which makes an impression, that the area?s economy is well developed. The third largest city in Slovenia, Celje (Celeia), was founded at the confluence of the rivers Savinja, Hudinja and Voglajna already in antiquity. In Šempeter, by the former Roman road, leading past Trojane (Atrans) and Vransko to Celje, Romans built a necropolis for important families from Celje. Near the city, the river Voglajna, which comes from the area of Šmarsko Šentjursko podolje and past Štore, outfalls into Savinja. Soon after that, Savinja turns between the hills and outfalls to Sava at Zidani Most. Two known health resorts emerged by the Savinja?s path through Posavsko hribovje hills ? Laško and Rimske Toplice. Besides the health resort, Laško is also famous for its brewery from the year 1821, nicely renovated castle and an event Pivo in cvetje. When we talk about Celje, probably every Slovenian thinks about the Counts of Celje, who were the most powerful feudal family in Slovenia at the end of the middle ages. In the time of Sigismund of Luxemburg, they even achieved honor of dukes (1436) and had equal authority as the Habsburgs. It is very likely, that Celje would become the capital of Slovenia, if the events in the past would occur in some different way. The Counts of Celje left only a few trails: Carthusian monastery Pleterje, the relief in Minorite monastery, some coats of arms and other things. But despite that, Celje has some magnificent buildings: a museum, the renaissance building from the 16th century with illusionistic ceiling paintings, lower castle (Knežji dvorec) of the Counts of Celje, abbey church of St. Daniel with Romanic core from 12th century and so on. In the beginning of the 20th century, Celje got two national homes, Slovenian and German. 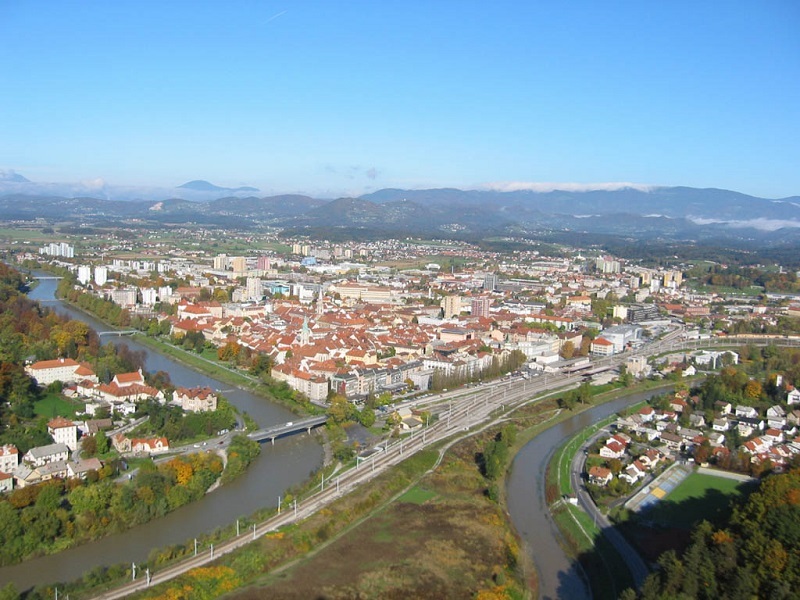 Celje is also a city with developed chemical, metal and agricultural industry. Recently, Celje with its international craft fair made itself valued as a center of craft and business, not only in Slovenia, but also outside the country?s borders. Celje is also becoming a powerful sports center. There is also a known hill Aljažev hrib, with a mighty church of St. Joseph and an institution of Lazarists nearby. Not far away from Celje, there is Teharje, an unfortunate place, so instead, we should mention thermal spa resort Dobrna, Sladka Gora pri Lembergu (the pearl of the baroque of Styria), Šentjur (the birthplace of the family of doctors and musicians Ipavec) and Šmarje pri Jelšah with Kalvarija and known church of St. Rok. Spodnja Štajerska extends to the southeast of Celje. Extensive and hilly land is named Kozjansko, after the largest place here, Kozje. The area was considered to be the least developed part of Slovenia for a long time. Transitional area between the rivers Savinja, Sava and Sotla is historically part of Štajerska, but it is often considered an independent (statistical) region. Posavje. 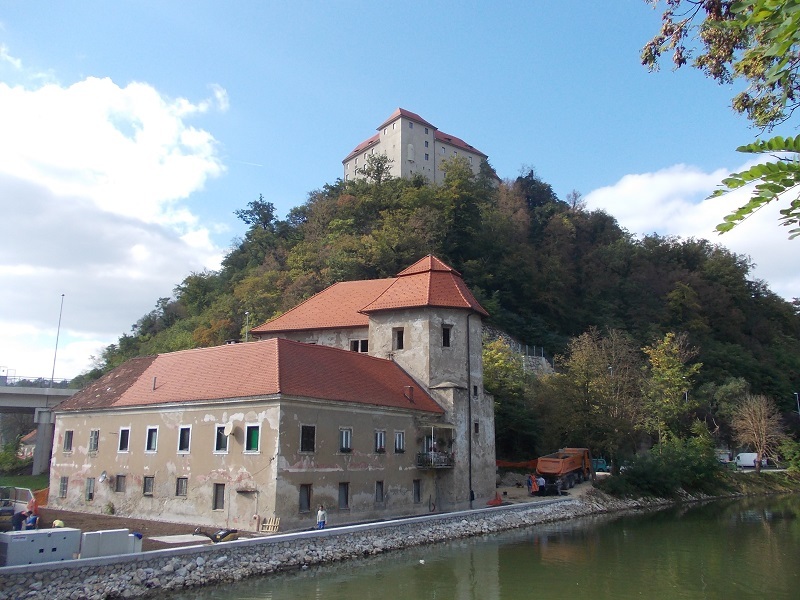 Among the places in the area, we should mention Brežice, an old town with a castle (first a property of the bishops of Salzburg and later the Habsburgs) at the confluence of the rivers Sava and Krka. The castle in Brežice is today known for the festival of old music, which is today also held in different places across Slovenia. The castle Mokrice between Brežice and the border with Croatia and the castle Pišece are also quite famous and not far away. More than the castles, people are attracted by spa resort Terme Čatež. If we go upwards by the Sava River, we arrive past Videm ? Styria part of Krško, to Brestanica, where the oldest castle in Slovenia, Rajhenburg, greets us from the cliff above Sava. The first owners of the castle were the bishops of Salzburg. In 1941, Germans transformed it to a gathering camp for around 45000 Slovenians, who were then deported to Germany, Serbia, Bosnia and Croatia. There are many other places, if we continue our road by the river Sava: Sevnica, with nicely preserved castle from the middle ages, Boštanj with a castle and a hydroelectric power station, Loka pri Zidanem Mostu (Primož Trubar worked as a priest there for around 15 years), Radeče with an old paper factory, and then we arrive to Zidani Most. Among the places further away from Sava, we should mention Jurklošter, one of four Slovenian Carthusian monasteries, which was closed the first. Castles are everywhere, even if we travel by the river Sotla upwards: Bizeljsko, Podsreda (a center of the memorial park Trebče), Podčetrtek (with renaissance castle), Olimje (the castle was transformed to a monastery with one of the oldest pharmacies in the Europe). There are thermal spa resorts in Olimske Toplice and Podčetrtek. We can also take a turn past Bistrica ob Sotli and go to Sveta gora, one of the oldest pilgrimage destinations in Slovenia. No less than 5 churches are located on the mountain ridge and the peak with the same name, Orlica. On the north, we can see the mountains Boč (979 m) and Donačka gora. A town Rogatec with a museum in the nature, church of St. Jernej and the castle Strmol is located at the foothills of Donačka gora. Nearby Rogaška Slatina is the most cosmopolitan Slovenian natural health resort, and also known for its glass factory.